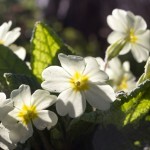 Following a very wet, but mild winter, we’re starting to see signs of Spring around the farm. 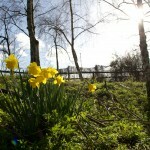 The February half term holidays saw some lovely weather, with Saturday being especially bright and sunny. 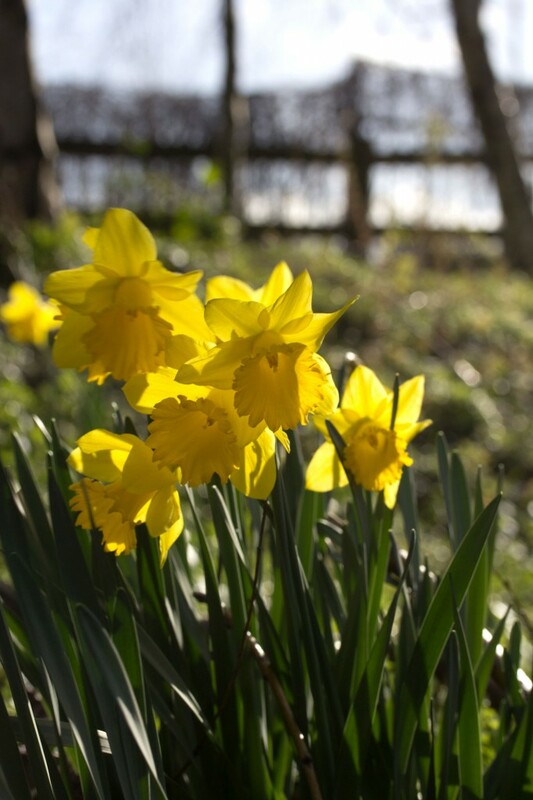 The rising temperatures and lengthening days have brought many trees and bulbs into flower across the farm, creating a fantastic display of blooms in all shapes, colours and sizes. 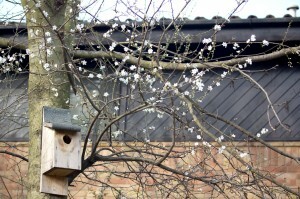 Blossom and bird boxes. Many birds can be spotted gathering nesting material, while others are already raising young. 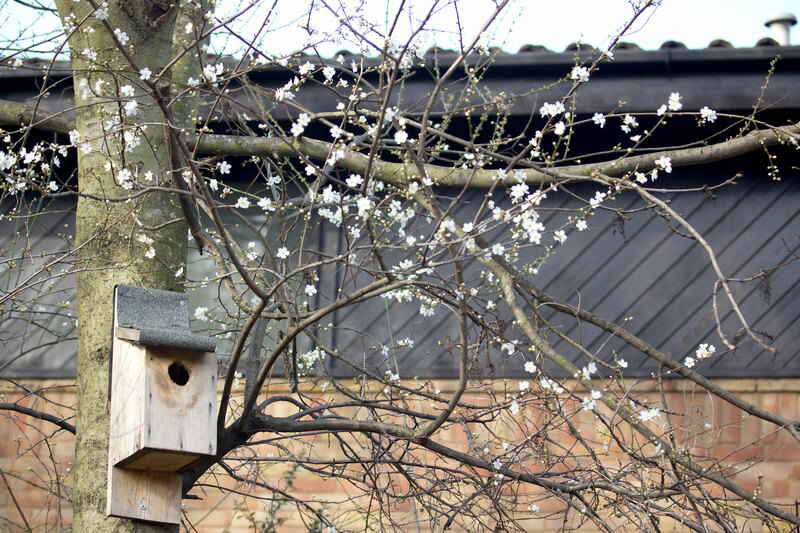 We’ve spotted wood pigeons and squirrels eating cherry blossoms as well as pollinators taking advantage of the nectar-rich spring flowers. 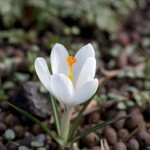 Bumblebees and hoverflies have been visiting the crocuses and butterflies should be taking advantage of some of these nectar sources soon too. You may also notice nesting birds at this time of year. Magpies can be seen conspicuously carrying nesting material and other species may already be taking advantage of the warm temperatures to get an early start on raising their young. Keep an eye out for adult birds carrying food in their beaks, a clue that there may be little mouths to feed in the nest! 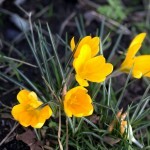 Crocuses and daffodils in flower. 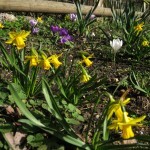 Daffodils can be spotted across the farm. 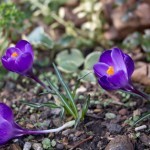 Crocuses in flower across the farm. 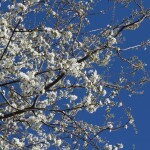 Cherry blossoms against a bright blue sky. 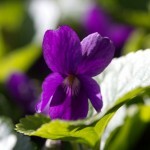 Sweet violet are flowering near the coppice. 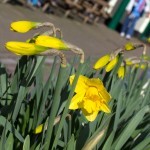 Daffodils in flower in the main courtyard.